March 25, 2011 – In ages past, our world was ruled by Pinball Wizards, Pac-Man Fever ravaged the land, and everybody did the Mario (RIP, Captain Lou). Of course, those were long ago times that are now only half-believed to have even existed in the first place. Or the opposite. The National Pinball Museum just opened a mile and a half from the Lincoln Memorial in D.C, Pac-Man toys are currently in our fast food kid’s meals, and Mario is on his 50,000th game incarnation. The more things change, the more they stay the same, and the more we have to keep coming up with cliches to make even superficial sense out of the world. But you know what else stays the same? Perfect evolutionary forms. And such might be the case with Funspot, an arcade in Weirs Beach, NH. 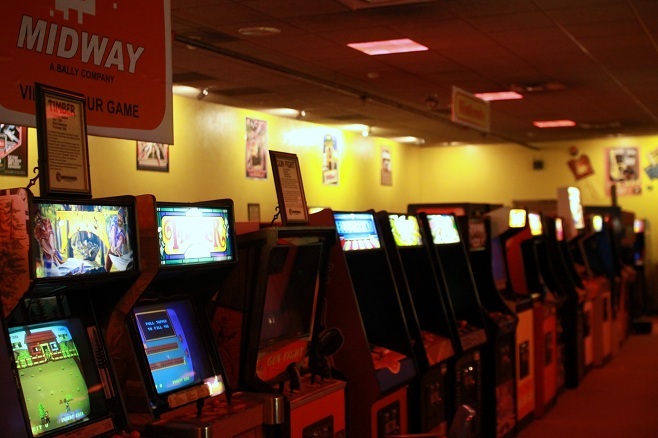 Originally opened in 1952, it has survived six decades of adolescent entertainment fickleness to become home to the world’s largest collection of arcade games. Located at 579 Endicott Street, where it has been since 1964, it’s hard to believe that fun can come in such a beige, corrugated metal box. However, follow the yellow lighted sign with the cartoon mascot dragon anadromically named Topsnuf and you’ll enter three floors of beeping, clacking, clinking, flashing, clicking, buzzing machines hungry for both your tokens and your nostalgia. 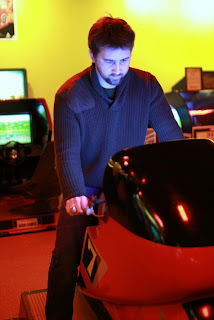 Of course, there’s less-electronic-style fun to be had at Funspot, as well, including skee-ball, air hockey, indoor mini-golf, a virtual driving range, bowling, and even kiddie bumper cars, but what really puts Funspot over the top of its few peers is that it hasn’t forgotten its past. 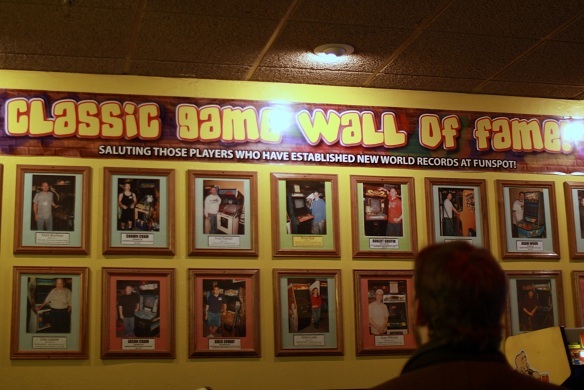 Admittedly, that’s probably because of the arcade’s lack of future, but still, that makes the fact that Funspot is home to the American Classic Arcade Museum (ACAM) that much cooler. 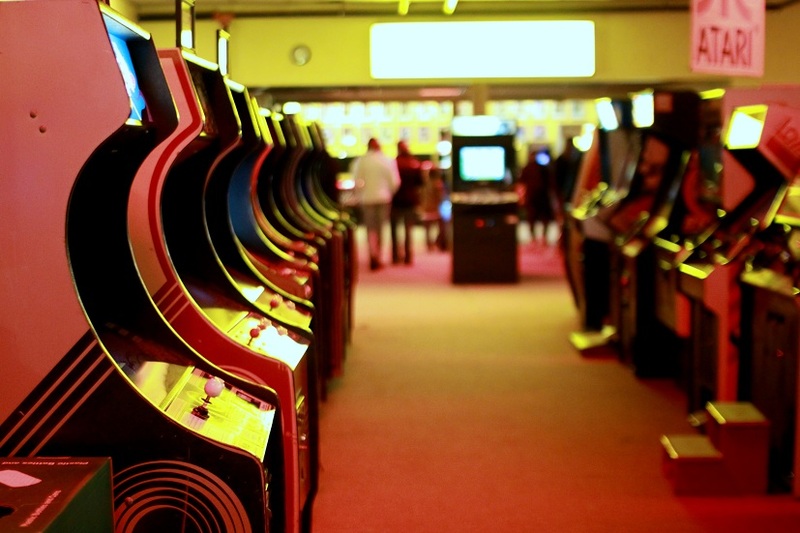 I learned about Funspot and its hallowed place in arcadium through the hilarious 2007 documentary King of Kong: A Fistful of Quarters. 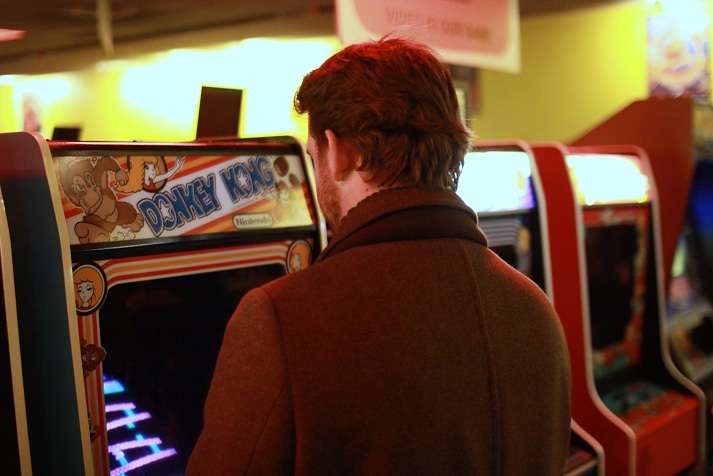 In it, two men battle for the Donkey Kong record, 25 years after it was cool to do so. Funspot features prominently in the film, as it seems to be an officially sanctioned battleground for this strange kind of bravado. It’s also home to the Annual Classic Videogame and Pinball Tournament. In my current incarnation, I have somewhat of an apathy for video games, but it’s an apathy that I have to work extremely hard on. You see, to this very second that I’m writing this article, stick a video game console under my TV, and I will solemnly draw the blinds, jot down delivery numbers on the back of my hand, and play for days on end until I’ve bitten sores on my lip from concentration and my family starts trying to get me cast in TLC reality shows. That’s why in these times where even your grandparents own a Wii, I don’t have a video game system in my house. 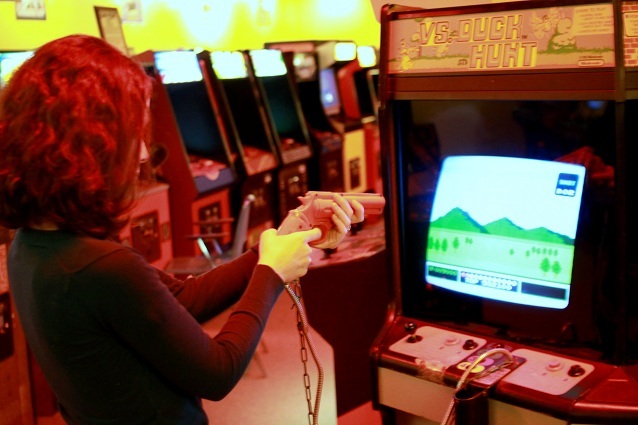 I just wouldn’t get anything done…like writing this article about video games, for instance. Apparently, I’m that way with arcade games, as well, judging from how my day went at Funspot. First off, I way underestimated the museum. I’d originally thought it would just be an offshoot hallway with maybe a dozen display-only arcade cabinets. I was going to go in, read the plaques to see if the writers made the creation of Pac-Man sound like the most revolutionary moment in human history, find the Kong cabinet featured in the abovementioned documentary, fake-play a few games of Centipede, and then call it an article. Turns out, not only does the museum take up almost the whole third floor of the facility, just about all the games are playable. So I did the only thing I could do in that situation. I filled a plastic cup full of tokens (designed by the guy who created Archie, weirdly enough) and ran into the dimness of the arcade wishing I hadn’t left my sweat wrist bands at home…my childhood home. ACAM opened in the late 1990s, and contains almost 200 games in the arcade itself, with another 100 or so in storage, all of which were made prior to 1987. 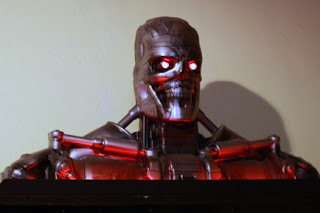 Elsewhere in Funspot, you can find more contemporarily themed games, even as recent as one based on the 2009 movie Terminator: Salvation. But on the museum floor, time stops somewhere around the point that *batteries not included and Eddie Murphy Raw came out in theaters. 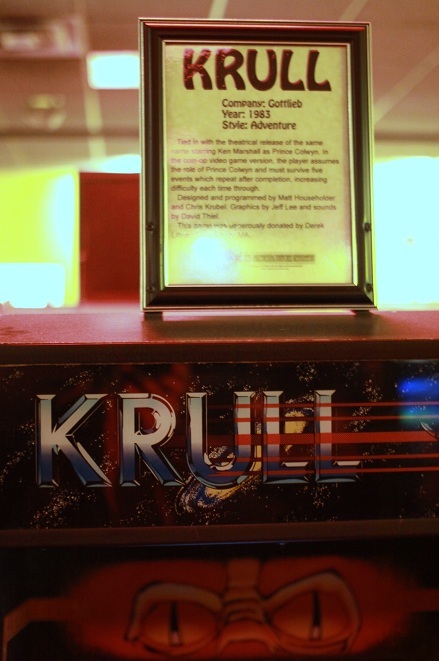 Every so often, an arcade game would have a piece of paper in a plastic stand atop its cabinet, with a brief and often uninformative paragraph about the history of the cabinet. 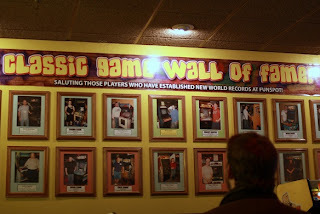 There was also a wall of fame covered in the pictures of retro-game record holders who had earned those records on the premises and who hoped to be rewarded some day for it in the afterlife. 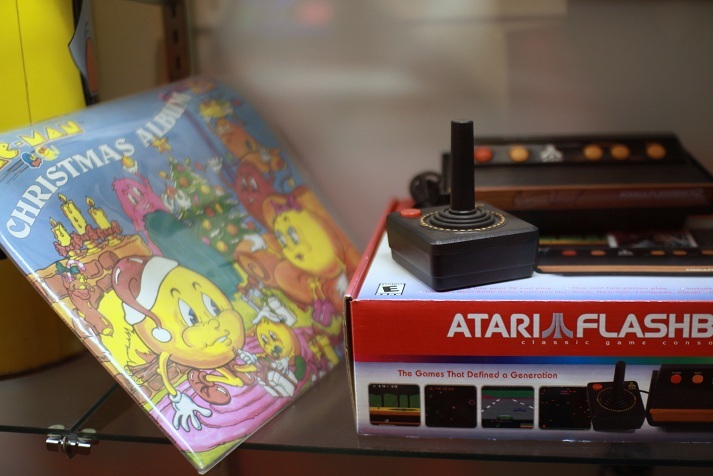 Much more interesting than these tidbits, though, was the small cabinet of 1980s merchandise that included an original Atari with its straight-stick-and-red-button controller and a Pac-Man Christmas album. 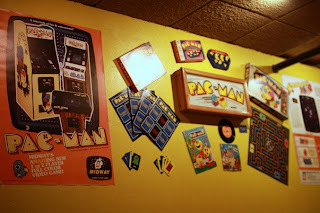 Actually, there was a whole wall section of Pac-Man merchandise, from board games to posters to even a costume, affixed above a series of Pac-Man arcade cabinets. Definitely the kind of stuff I wanted to see. Wished there was more, actually. Back to the interactive part of the museum, the games only cost one or two tokens to play, and I think we got like 50 tokens for 10 dollars. It took us a while to get through our stash, even though we went through the various cabinets like we were speed-dating them, partially out of excitement at trying them all, but mostly because it took us less than 60 seconds to lose on any given game. Life before save points was rough. Certainly, all the classics were there, Frogger, Dig Dug, Galaxian, Dragon’s Lair, and there was a row of Donkey Kong machines of various iterations, including the one from the documentary. 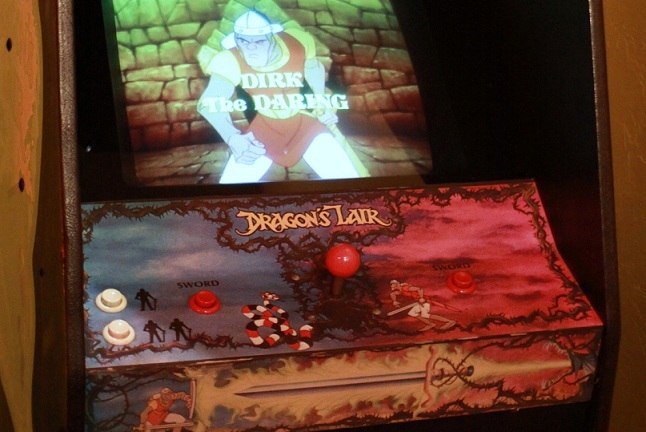 My favorite cabinets, though, were definitely the movie-themed games. 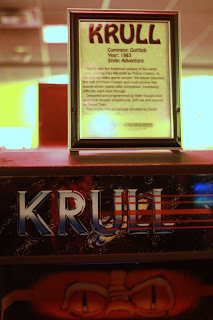 Ghostbusters, Krull, Indiana Jones, to name some examples, complete with cool cabinet art. 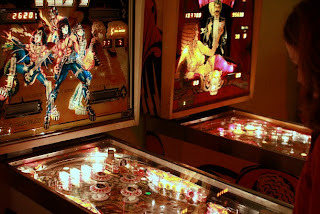 Also the pinball machines, which took up an entire wall of the room and were themed from everything from Kiss to Superman. Eventually, though, we had to leave the darkness of the arcade for the harsh light of 2011. If Plato’s cave had been like ACAM, he never would have left. Still, returning to the modern world of smartphones and ubiquitous WiFi seemed like a step backwards. Somehow arcades, even with their pixelated characters and 8-bit sound effects, seem more futuristic to me. I haven’t figured out why yet. Maybe it’s because these wondrous machines are all human-sized and square off with us on equal terms, screen to face, joystick to hand. Also, it might be dystopian. But the point of all this is that the video games of our childhood are in a museum. They hold something in common with ancient aboriginal artifacts, Renaissance sculpture, Egyptian mummies, and dinosaur bones. Basically, they are old.